The country's most populous state, California includes landscapes that range from the forested northern coast to harsh southern deserts. Sandwiched right in the middle of the state is a fertile valley, home to farms, vineyards, and orchards. California's cities offer diverse attractions, from amusement parks and upscale shops to award-winning restaurants and innovative art galleries. Outside the state's big urban centers, places to visit include some of the nation's most rugged national parks, ancient forests, towering mountain peaks, and ski resorts. 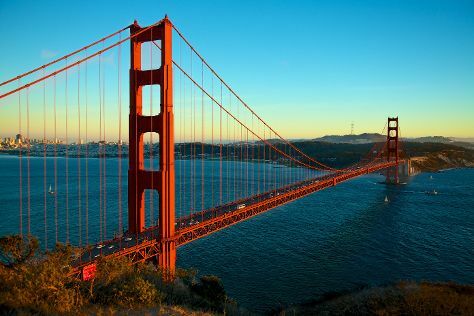 More than just a surfing destination famous for its beaches and winding coastal roads, California also boasts one of the world's largest economies, bolstered by the booming tech industries. California is in United States. Use our United States trip planner to arrange your visit to California and other destinations in United States.